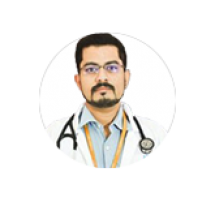 Dr. Komaranchath has immense experience as an Oncologist in treating all types of Cancer patients in leading centers in Kochi. As a Professor of Medical Oncology, he has been expertise in Conventional Chemotherapy, Targeted therapy, Bone Marrow Transplant, Intrathecal chemotherapy, Central Venous Access. He has a special interest in gastrointestinal malignancies, breast cancer, and lymphomas.